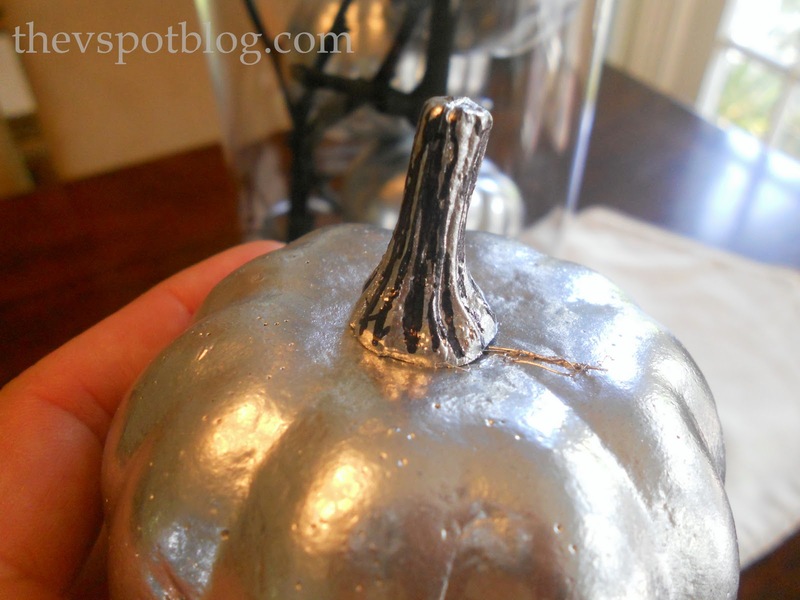 Black sticks & silver mini-pumpkins… mmm mmm good! Does it make a different that these are little guys and not from the Dollar Store…? No? These guys started out as little orange fakers. I sprayed them with Krylon’s silver metallic paint, then took a black Sharpie to add a little contrast to the stems. I put them next to my Garlic & Vampire Fangs in my kitchen windowsill. 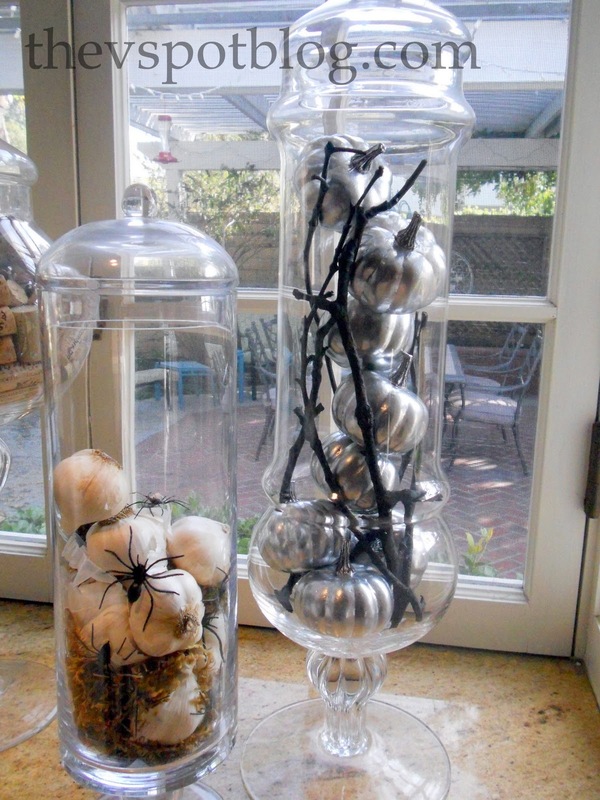 LOVE the silver pumpkins with black sticks…very sophisticated! Omagoodness, I LOVE that! It looks so classy! Those silver pumpkins are FAB! I’ve loved all the ones you have posted, it looks like so much fun & I’ve been wanting to do some Halloween stuff. Thanks for the ideas! what are you up to 100 pumpkins now! 🙂 Very clever…looks great! They look so expensive. Great job Viv! I HAD to pin this to pinterest! It is just to good not to be there. I love your Halloween decor ideas. Great ideas! Love the contrast of the silver and black, and the spiders and garlic bulbs are clever too! I think Silver Spray paint is my new favorite addiction. Love it esp. on the Pumpkins. How cute in those jars! I love silver and black for both Halloween and Christmas. But if I set out garlic then Edward won’t come? I guess that’s ok I really like Jacob better anyway. More Halloweenishness: a Dollar Store entry way.